Hamvention will be held May 15-17, 2015 at the Hara Arena Complex in Dayton, Ohio at hamvention.org. 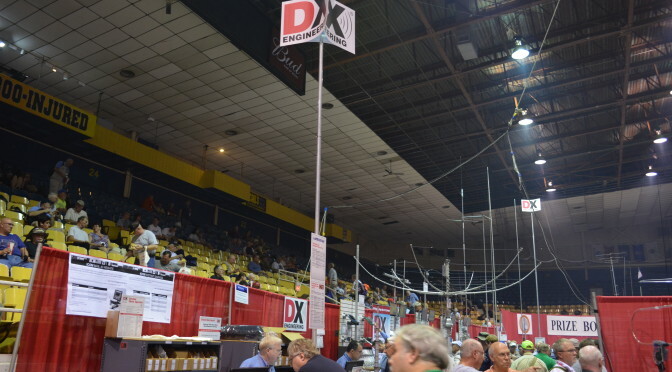 The Dayton gateway will be linked to D-Extra X-Reflector XRF038C during Hamvention weekend. D-Plus REF038C will also be available for the weekend. Use 446.1000 Digital Code Squelch CSQL use #13 as a D-Star simplex frequency at Hamvention. The Dayton gateways are W8RTL and W8HEQ. The Ham Nation booth will be located in Audio Alley, next to Heil Sound. This is the same location as in the past. Saturday at 10:30 am is the Ham Nation forum. This year we are in the large forum room. Stop by the booth or check your program for location. This event was standing room only in the past. Saturday at 2 pm the Ham Nation hosts will be live with Leo on his Tech Guy radio show. This will be at the Ham Nation booth in Audio Alley. The Tech Guy show is broadcast on over 400 radio stations, online at TWiT.TV and all the other places you find Ham Nation.